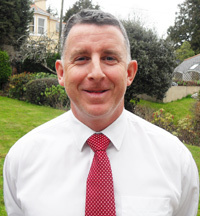 Your local financial adviser for Torbay & South Devon. Our firm offers a comprehensive, lifestyle financial planning service. Our primary goal is to help you achieve the lifestyle you have always wanted, without the fear of running out of money, whatever happens. Lifestyle Financial Planning - Our typical client is either building or has built a capital lump sum, held in a mixture of deposits, investments and pensions. However, they do not know how much is "enough" to create or maintain the lifestyle they have always wanted. What they do know is they don't want anything less than what they already have. Our aim is to give them clarity about their financial future. We seek to make the rest of their life the best of their life. Later Life Financial Planning - Over the years we have seen situations where family wealth has been decimated due to the failure to plan for all eventualities. Whilst this can happen at any age, it is a fact the older generation are most likely to face issues such as long-term disability and loss of mental capacity. Unlike most other advisers, we have made it our business to help our older clients protect their assets via our "later life" financial planning service. So, if our typical client sounds like you or someone you know, or if you would like to put your affairs in order, please get in touch to arrange an initial meeting, the cost of which will be met by us. For a no obligation, initial consultation, please contact us. 23rd Jan: Will you outlive your retirement pot? Dominic Browning has been our IFA for the past 15 years, this despite a distance of some 250 miles between Preston and Torquay. My wife and I have always been satisfied with the professional service we have received from Dom and we trust him implicitly with our finances. As teachers we are particularly pleased with the services Dominic provides as he speaks with experience and authority about the profession, his own wife being a teacher. I have recently asked Dominic to invest my own lump sum and my wife will be doing likewise in September. With his own young family Dominic is aware of the demands on the finances of a growing family and one can be assured that he will give advice and service within the constrains of a family budget. Dominic is trustworthy and reliable and I would recommend his services to you with no reservation whatsoever. © Copyright 2019 Browning Financial Planning Ltd, Morar, Brooklands Lane, Torquay, TQ2 6PH. Telephone: 01803 60 67 66. Browning Financial Planning Limited, company number 8448809, is registered in England and Wales and is authorised and regulated by the Financial Conduct Authority (607455). Will writing is not regulated by the FCA. Your local financial adviser for Torbay, Torquay, Paignton, Brixham and South Devon including Maidencombe, Dawlish, Goodrington, Marldon, Shaldon, Paignton, Heathfield, Ipplepen, Teignmouth, Bovey Tracey, Plainmoor, Chelston, Berry Pomeroy, St Marychurch, Blagdon, Brixham, Shiphay, Buckfastleigh, Kingskerswell, Stokeinteignhead, Abbotskerswell, Torquay, Totnes, Hay Tor, Newton Abbot, Broadsands and more!